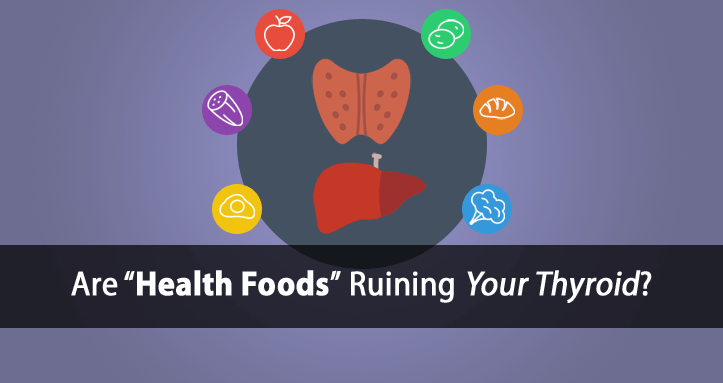 Who would think that health foods could be so dangerous? It’s the unfortunate truth… and I’ve been watching it get worse year after year. You would likely be better off avoiding all health food claims you find in magazines, on TV, or spread all over the internet. That’s the nutritional information my clients are hearing from their doctors. It’s a travesty to say the least. Yet, it’s also easy to see how much of this misinformation spreads like wildfire. Phytoestrogens are estrogen-like compounds produced in varying amounts by plants/foods. Their structure is very similar to estrogen and research shows that they can weakly mimic the actions of estrogen in the body. Now, keep in mind, most plants/foods contain an almost negligible amount of phytoestrogen. So, in small amounts they aren’t necessarily harmful. Yet, what’s most concerning are the foods that contain large amounts of phytoestrogens. These foods can be quite estrogenic and have a cumulative negative effect on your thyroid health. Before I jump into the four phytoestrogenic foods, I think it’s important to understand why there is so much controversy on this topic. Much of the phytoestrogen research is mixed. Some studies suggest that phytoestrogens have cancer protective properties, while others show that they stimulate cancer growth. Endocrine expert, Dr. Raymond Peat, points out that many phytoestrogen studies claiming their benefits are flawed. Many of these studies measured the phytoestrogen content in the urine as an indicator of true phytoestrogen status. Yet, both estrogens and phytoestrogens have been shown to block the estrogen detox pathway, which is a major problem. When the liver’s estrogen detox pathway is blocked, then it can’t excrete phytoestrogen into the urine. Instead, blood estrogen levels rise. So, many subjects whose urine tested lowest in phytoestrogens likely had higher phytoestrogen levels in the blood… which could correlate with higher cancer rates rather than lower. Animal studies using high phytoestrogens show effects of breast tissue growth, as well as spontaneous production of breast milk. This is likely due to estrogen’s effect of stimulating the thyroid-suppressive hormone prolactin. Yet, when looking specifically at the thyroid and phytoestrogen research, the picture becomes even clearer. 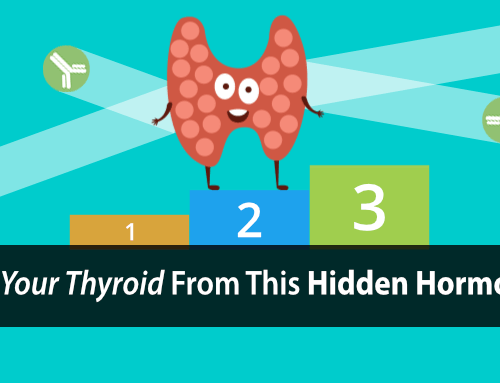 One study on subclinical hypothyroidism patients (no symptoms) showed a 360 percent increased risk in developing overt hypothyroidism, with increased TSH and reduced T4 levels. Another study on healthy non-hypothyroid subjects showed half of the subjects developed hypothyroid symptoms within the 3 month timeframe of consuming soy. These symptoms disappeared after 1 month of removing soy from their diet. …let’s take a look at the 4 worst phytoestrogen “health foods” that you may think are healthy but are really sabotaging your thyroid health. Soy products are often recommended to peri-menopausal and menopausal women as a way to increase their estrogen levels. This is a big misnomer. While it can improve some menopausal symptoms, it does so in dangerous ways. 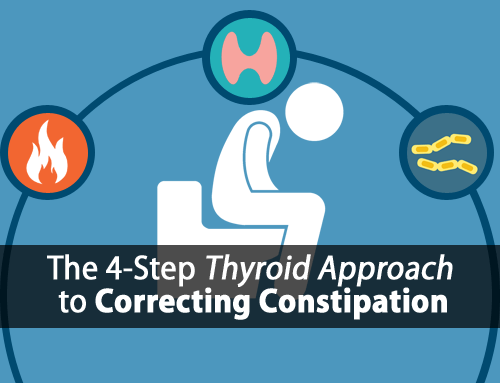 As per the studies mentioned above, it can also severely suppress your thyroid. 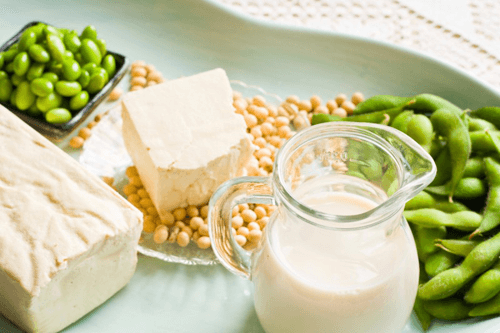 Just like estrogen hormone replacement therapy (HRT) has been shown to increase risk of breast cancer, soy phytoestrogens can too. While soy doesn’t win the award for the most estrogenic food, it does take the cake in sheer number of different estrogenic products. Of all products derived from soy, all contain very large amounts of phytoestrogens, except one. The only soy product that was low on the list was soy sauce at 0.15 mg per 100 grams. I am amazed at the number of people I see using flax seed, flax oil, flax breads, and other flax based products. Often touted as a great source of omega-3 fatty acids, many have been led to believe that flax seed protects against heart disease. Yet, have you ever looked at the actual research? I’ll reference you to a prior article I wrote called “The Truth About Omega 3, Fish Oil and Heart Disease“. Flax seed takes the cake when it comes to total phytoestrogen content of 379 mg per 100 grams of flax. 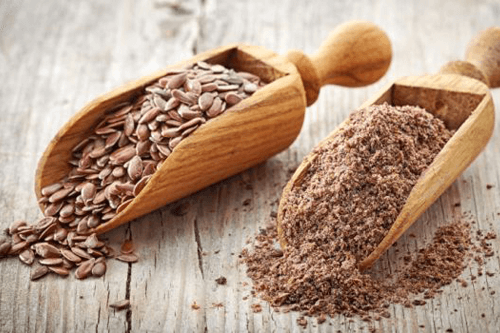 Like soy, many peri-menopausal and menopausal women are also dangerously led to using flax. Again, this is because doctors tell them that they need to increase their estrogen. Even in menopause, your body can produce large amounts of estrogen through the aromatization pathway. 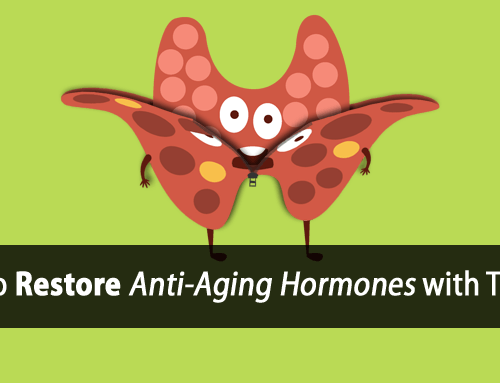 It’s progesterone that is really needed and that your body is far less capable of producing. Another seed shown to contain a large amount of phytoestrogens is sesame seed. 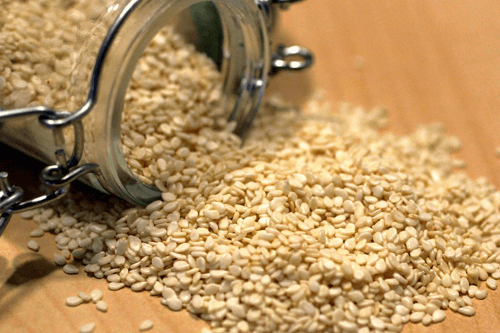 Sesame seeds are often claimed to help protect against cancer and diabetes. They are often cited to improve bone health and lower inflammation. Well, they’re note quite as estrogenic as flax seed, yet sesame seeds contain 8mg of phytoestrogens per 100 grams. 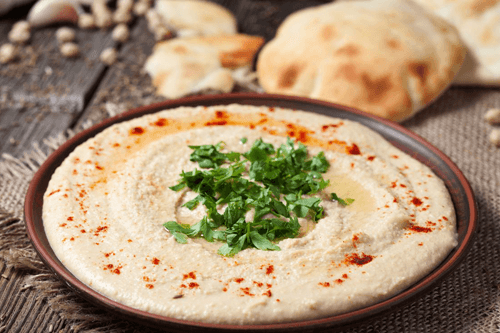 Sometimes referred to as the “superfood dip”, hummus has many claimed health benefits. For starters, it contains iron which is believe to alleviate anemia. It’s phytoestrogens are also known to lower cholesterol, albiet likely in a dangerous way. …yet, hummus takes the fourth spot at 1 mg of phytoestrogen per 100 grams. Now, it’s important to keep all of these amounts in perspective. For example, sesame seeds and hummus might appear to contain little phytoestrogen compared to flax and soy. Yet, when you compare them to other foods low in phytoestrogens, it paints a very different picture. To give you perspective, the phytoestrogen content of most foods are almost miniscule. Hummus contains over 700% more phytoestrogens than potatoes. Sesame seeds contain over 1,600% more phytoestrogens than zucchini. Soy beans contain over 59,000% more phytoestrogens than meat. Flax seed contains over 17,000% more phytoestrogens than fruit. In a world where there are so many threats to our thyroid health, we have to take advantage of every opportunity we can to protect ourselves. Avoiding these truly estrogenic and thyroid-suppressive foods is one easy way to do just that. Hot flashes were keeping me awake at night until I began to use bioidentical hormone creams containing progesterone and estrogen, and taking DIM to prevent estrogen dominance. Can you comment on the DIM and assure me that if I follow your diet and give up the estrogen cream I will not be kept awake by hot flashes? Thanks. Hi Julie, I don’t recommend using I3C or DIM because they also have their own negative effects such as inhibiting metabolism and ATP production. They also promote oxidative stress. 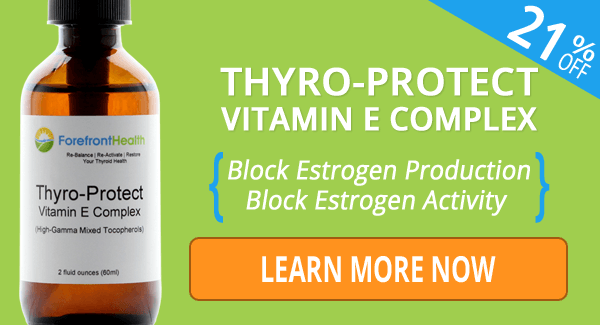 Based on my experience with clients and research, supplementing adequate progesterone provides the same symptomatic hot-flashing relief without the negative side effects of estrogen. Plus it’s very pro-thyroid while estrogen is very anti-thyroid. Really interesting article. Could I ask what the ingredient in hummus is that contains the estrogen? I ask as I wonder if I need to avoid chickpeas in all forms. Hi Simran, see my response to Laura. To clarufy….do you mean hummus made from garbanzo beans? So ate GB to be avoided? Also, what about a woman that has had a total hysterectomy …..all parts gone and estrogen was non existent with testing. Total hysterectomy was medically needed to save my health but now I have a whole new set of issues…..Went on estrogen patch reluctantly, but I could not handle surgical menopause with 60-100 hot flashes all day long and miserable mood swings and sweating and was no life. I love all the advice ( just the OJ and carrot daily is working) and I’m trying your products, but total hysterectomy a bit different. Cutting back on patch since started using cbd oil….any thoughts on that? Hi Jennifer, legumes in general are estrogenic and shouldn’t be overconsumed. 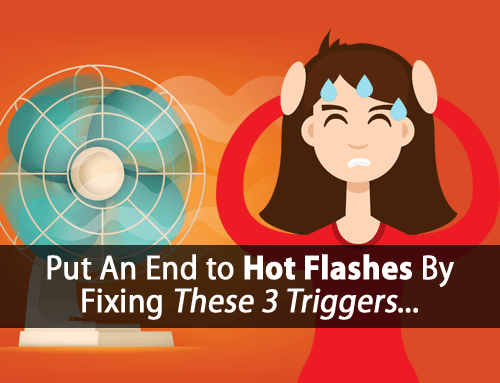 See my response to Julie More for more information regarding hot flashes. I’m confused by the hummus claim. Is it the tahini in hummus since it’s made from sesame seeds, or the chickpeas. Hummus can be made so many different ways with many different ingredients, so to just say hummus means nothing. Hi Laura, yes the tahini/sesame seed could be a big contributing factor in this case. However, legumes in general are estrogen by nature. Tom. Your articles are HELPFUL to me! As a 50-ish person diagnosed w/ Hashimoto Disease, I learn important facts from you which I don’t see anywhere else! I will add sesame seeds and flax to my “avoid” list. Who knew? And continue to avoid hummus and all soy products, including salad dressings that are mostly soy oil.